The general sequence is this: you format a manuscript so it's suitable for publication. You then upload it to a channel's site, software converts it to ebook format and the channel makes it available for sale online. Sounds so straightforward, but 'formatting the manuscript' means putting it into doc, docx, html, pdf or epub format, creating a cover image and sections for the title, copyright, blurb, contents, acknowledgement pages, etc. The specific formats vary widely and depend upon the channel's requirements. You also need to choose one or several pathways to reach the widest possible market, based upon what it's going to cost you in time and money, what parts you want to do yourself, and what you'd prefer others to deal with. But don't be daunted. It is entirely possible to do it all yourself and many people do – and even enjoy the process as well. So what sort of channels are out there? Some are exclusive, some are non-exclusive. Some only format ebooks and distribute them to other online bookshops, others have their own bookshop. Almost all charge a small commission on each book sold, others want an upfront fee, and some want both. They all offer different levels of service. Amazon is in a class of its own; the other three are perhaps more focused on driving their own ereader device sales. 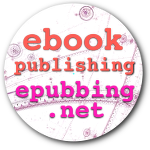 The retailers advise authors how to format manuscripts, then their software converts the manuscripts to ebooks and distributes them exclusively to their own sites. The four retailers below sell about 98% of all ebooks, both self- and mainstream-published. Comments Manuscript must be in html. Good help info, easy sign-up. iBooks app only for Apple. Limited pre sign-up info. Not available to Australian epubbers! Limited pre sign-up info. Three-quarters of ebook sales are made through Amazon, while Apple, Barnes & Noble, Kobo and Google Play (2%) sell the rest. (Google Play is not covered here because it closed its services to new authors in May 2015.) Basically the Big Four – or the Big One and the Lesser Three – are the routes to market all epubbers needs to take. But dealing with retailers separately is hard work, so a niche has developed for the distributors. DIY distributors provide advice on how to format a manuscript, then their software converts it to an ebook and distributes it in one hit to the exclusive retailers, and sometimes to their own online bookshops. They collect royalties and pay authors. Some take a cut of sales, but they don't charge usage fees. Claims of "100% royalties to authors" means after the retailer has taken their cut. They're good value given the wide distribution, centralised accounting and free changes they allow. Comments Good marketing info, easy formatting. Easy formatting, limited pre sign-up info. Extensive help guides. Free service limited, pushes paid packages. Note the big difference between Pronoun/Booktango and Smashwords/D2D: the former distribute to Amazon but the latter do not, so for them you need to submit to Amazon separately to cover the Big Four. This is not necessarily a major drawback once you understand the requirements, and working with Amazon directly may provide other options. Booktango, like Lulu, is a hybrid, offering DIY and package distribution. It is an older service from Author Solutions, with limitations on image uploads, no free author copies of a converted book, no BYO ISBN option, and out of date tax information, see Details page. Package distributors are more like traditional publishing houses, and some offer print books as well. They have minimal or no free services, usually charge a usage fee, and focus on paid packages. They distribute ebooks to the exclusive retailer sites and sometimes to their own online bookshops. Some offer promotional packages at extremely high costs. Lulu, like Booktango, is part DIY and part package distributor, tending more towards package. 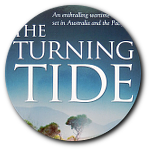 It has outdated policies and won't provide Amazon or Kobo formats for Australian authors. Distribute to Amazon, iBooks, B&N, Kobo, etc. Amazon, iBooks, B&N, Kobo, etc. Amazon, iBooks, B&N, Kobo, etc. Amazon*, iBooks*, B&N, Kobo, etc. Comments Won't do Amazon Kindle or Kobo formats for Australia. No free service. Disorganised help system. No free service. Limited pre sign-up info. *Distribution limited. No free service. Limited pre sign-up info. There's no one-way-fits-all method of epubbing and the first time around will be hard whichever way you do it; there are so many new concepts. After that it's much easier. Here are some strategies you can follow, keeping in mind you can always choose another next time. Work directly with all four exclusive retailers only. Pros Single format, no distributor cuts. Covers retail marketplace, no distributor cuts. Cons Miss 25% of potential sales with other retailers. Four formats, four times the effort, four dashboards. * See Hugh Howey arguments for KU and Mark Coker arguments against KU. Format for Amazon, format again for the rest, submit to all at once. Pros Single format, lowest cuts, pay retailer only. Pronoun easier. Draft2Digital simpler, but lots of good info with Smashwords. Cons Booktango has limitations. Two formats. Higher distributor cut, but still modest cost. Get someone else to do it all. Pros More support, less work. Full support, minimal work. Cons High costs, unlikely to recoup through ebook sales. Highest costs, extremely unlikely to recoup through sales. Choosing an epublishing channel is just one step. You also need know more about the various formats different channels prefer, requirements for cover images, and how the financials work, especially the tax situation for authors outside the US, see the Details page. But the next important step is understanding the formats you'll be asked to work in or convert your work to. Again, it's only hard the first time around. Go to 4. Formats.